Momentous events and changing seasons remind me to ask Friends and Meetings to let me know about transitions among your youth and families. Have any youth moved away for college or work? I can help make introductions with their new local Friends communities. 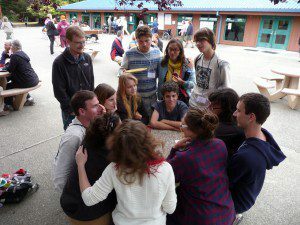 Last year, for example, I introduced three new college students to the New England Yearly Meeting Young Friends & Young Adult Friends Coordinator. One college student asked me about Friendly summer internships in the Boston area, and I was able to introduce her to a local Friend in a position of servant leadership whom I had met at the 2005 World Gathering of Young Friends. Any new children among you? It would be helpful to me in my outreach and support efforts to have an updated list of your Meeting’s youth, ages, grades, and parents/guardians. Election Day in the U.S. is Tuesday, November 4th, with many important initiatives and local, state and federal seats on the ballots. Remind youth and others to register! Deadlines— Nevada: October 14th; California: 15 days before any election (October 20th); Hawaii was October 6th. Deadline to register for SCQM Fall Fellowship is October 18th. Friendly Adult Presence (FAP) positions are available for the teen program, and teachers are needed for the children’s program; these volunteers’ registration costs (room & board) will be waived. Western Young Friends New Year’s Gathering will be having its 40th anniversary this year and is planning for a special celebration at Camp Myrtlewood in Southern Oregon. All ages welcome. Woolman Semester is accepting applications for Spring and Fall 2015. Quaker Oaks Farm is making progress on its transformation into an independent non-profit, with the land now having been accepted to be held in trust by Visalia Friends Meeting. 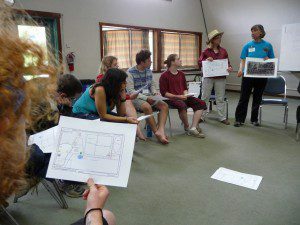 Many events are planned for this year, including the free public Harvest Festival activities this October, the annual winter holidays wreath making, a Young Adult Friends campout and service project, and the return of the Spring Youth Service Learning Camp in partnership with the Wukchumni Tribe. Have an idea for an event or project that can’t be funded otherwise, or need some help with design and implementation? 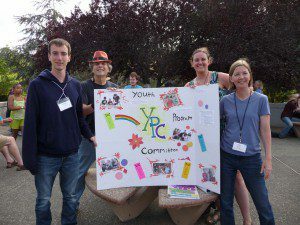 Our YPC Committee manages the Youth Programs Fund (interest from the Bob Vogel Endowment) and is available for consultation. The next request deadline is December 20 for funding in January 2015. We accept applications on a rolling quarterly basis (Dec. 20, Mar. 20, June 20, Sept. 20), with decisions at least once every 3 months (January, April, July and October). We are open to requests for general support at any time. Description of the fund’s purposes, policies, and application are online at: pacificyearlymeeting.org/2014/pym-docs/ypc/resources-funding . On a trial basis, the YPCC is dedicating some of the Youth Programs Fund to support teen intervisitation to each other’s quarterly meetings (CPQM and SCQM). Contact the adult clerk of your quarterly teen program for more information. Please remember my open invitation to consult with your Worship Group, Meeting, organization, or committee. 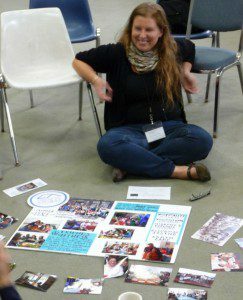 In fact, I’m looking for two Meetings or Worship Groups interested in hosting the annual YPCC workshops, Becoming Adult Allies to Youth: Friendly Adult Presence (FAP) and Beyond, this coming spring (one in Southern CA and one in Northern CA/NV). If you have at least 5-8 interested Friends, are willing to host me and other Friends for the day, and an available Saturday at your meeting place, let’s talk soon and get it on the schedule! Youth Programs Coordinating Committee members: Lynnette Arnold, Jennifer Carr, Natasha Herrera, Mary Klein (co-clerk), Steve Leeds, Stephen Myers, Kylin Navarro, Thomas Rios, Jim Summers (co-clerk). One youth slot is vacant. Email pym [dot] youthcoordinator [at] gmail [dot] com to have events included on the calendar. October 24-25: Race, Power, Privilege & Leadership Symposium – a mini White Privilege Conference (Friends Center, Philadelphia, PA), hosted by Friends Council on Education, friendscouncil.org > Programs > Events. 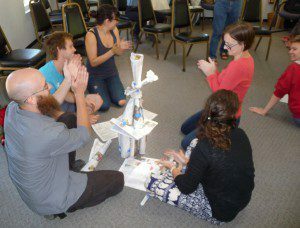 November (weekend TBD): AVP Basic Workshop for Young Adult Friends (YAFs), (held at San Jose Meetinghouse, CA). Contact Kylin Navarro, YAF co-clerk. January 16: Teen Clerking Workshop (Berkeley Meetinghouse, CA) – all PYM teens welcome. Sponsored by CPQM Teen Program Committee. Contact Adult Clerk of Teen Program, Kathy Runyan. February 13-16: PYM Young Adult Friends Campout and Service Project (Quaker Oaks Farm, Visalia CA) quakeroaksfarm.org . Contact Alyssa Nelson. 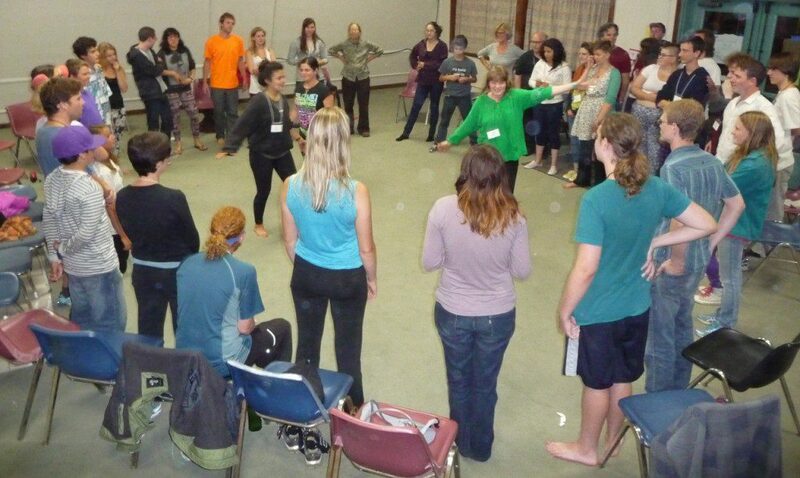 Spring (Dates & Host-Meeting sites pending – offers welcome): Becoming Adult Allies to Youth Workshops: Friendly Adult Presence (FAP) and Beyond, one in Northern CA and one in Southern CA, with the PYM Youth Programs Coordinator. Ben Lomond Quaker Center Youth Camps quakercenter.org Quaker Center’s annual passes can be applied to camp! Peace Action Camp: outdoor adventure and nonviolent direct action for rising 10th through 12th graders, June 21-27, field location TBD. 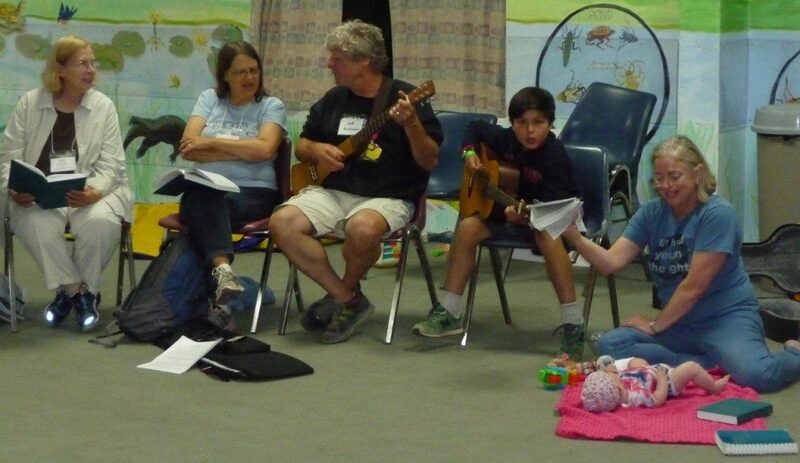 Quaker Camp (4th-6th grade) & Service Camp (7th-9th grade) run concurrently at Ben Lomond Quaker Center, August 1-8. July 10-13: PYM Young Adult Friends Retreat 2015: Pre-Annual Session weekend of service, spirit, and fellowship with young adults and older adults of PYM. Held near Annual Session site. Contact Kylin Navarro, YAF co-clerk.